Whisk lemon juice into confectioners�?? sugar. Pour over cooled cake. 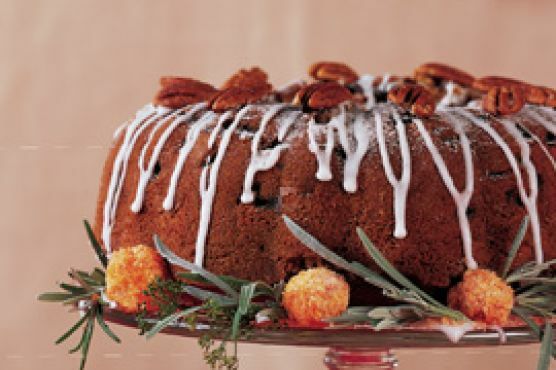 Decorate with whole pecans, if desired.